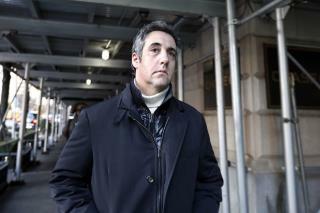 (Newser) – Michael Cohen has admitted that he lied to Congress about Donald Trump's ambition to build a tower in Russia. But a new report from BuzzFeed adds a wrinkle that has bombshell implications if true. The report, based on two anonymous law enforcement sources, alleges that Trump, as president, ordered Cohen to lie in his testimony. The sources say that Cohen told Robert Mueller of his former boss' order to deceive Congress, and that Mueller corroborated the allegation through interviews with witnesses and through emails and texts from the Trump Organization. This, writes Jason Leopold and Anthony Cormier, is "the first known example of Trump explicitly telling a subordinate to lie directly about his own dealings with Russia." The president's Democratic critics in Congress suggest this is one of the worst allegations yet against Trump, reports the Washington Post. just more left wing desperation. why is it these clowns always present their "case" to the media and the court of public opinion rather than the actual courts? nothing but innuendo, lies and fantasy. going on year 3 now. trump may have his faults (and yes, he does) but he's got nothing on the socialist left democrats when it comes to faults. these people are nuts. Funny how all these Trump haters. Make accusations but none of them can offer any proof.